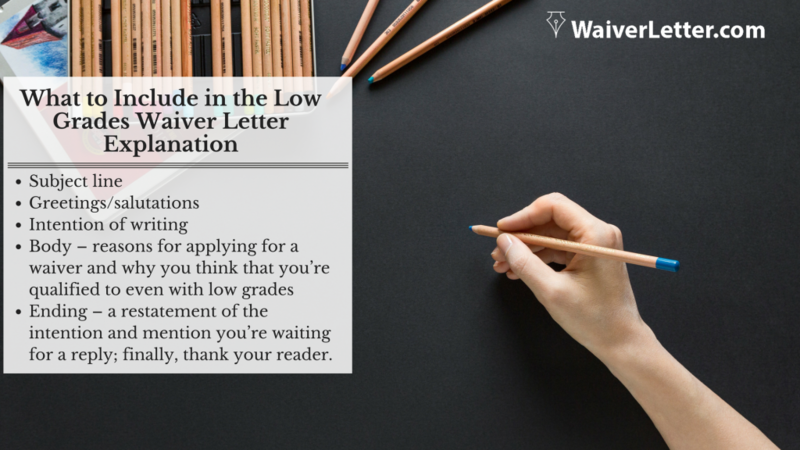 The low grades waiver letter is what you need if you want to express your intention of waiving the grades requirements and completing your MBA program application with a bad GPA in college. Each school has its parameters or guidelines in approving the waiver. If you’re qualified to submit a waiver, learn how to write the low college GPA letter of appeal just as how important it is to learn how to write a pardon letter for immigration when needed. If you’re applying for an MBA program, but then you have a bad GPA in college, don’t fret. You can do something about it and for yourself by writing a convincing waiver letter. It works the same as the English proficiency waiver letter, wherein you’d request for the English test scores to be waived. In the case of a low GPA, you can justify it by supplying facts about your experience – academic and professional – to show that you’re well qualified to pursue an MBA even if you have a low college GPA. There are many possible reasons for a low college GPA. Some students have had personal or family situations that affected their performance. Others had medical conditions that resulted in poor grades. On the other hand, some students received bad marks due to activities that prevented them from focusing on their studies. Whatever your reason for a bad GPA in college might be, be sure to highlight ways in which you changed and improved your grades later on or in other subjects. For instance, mention how you learned about time management and ways you motivated yourself to keep going despite those low grades. You should also show that you have received high marks needed for a master in the business program. In short, justify how you are a fit for the program with your business, time management, and leadership skills despite low grades. Don’t let a low college GPA ruin your dreams of completing an MBA. Write an outstanding waiver letter that proves your talents, skills and professional experience enough to prove your fitness for it. Contact us for a low grades waiver letter today!